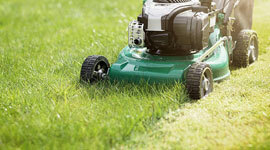 In the spring, we begin by prepping your grass for the mowing season. For those of you who have Fescue yards, this will only require an initial mow done a little lower than cuts made during the rest of the year. 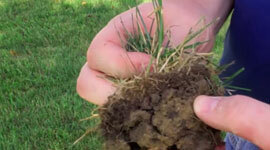 For those of you who have Bermuda grass, scalping and de-thatching. 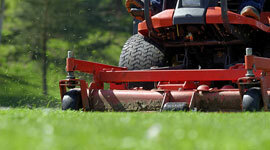 Scalping involves cutting the grass nearly down to the dirt so that we can easily de-thatch your yard. De-thatching is for Bermuda grass only because of the runners that it puts out. We run a machine over your yard that will cut into these runners and bring all the grass clippings from the previous year up to the surface. 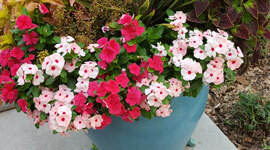 This process promotes a healthy yard as well as increases water and fertilization absorption, which in turn will reduce the amount of irrigation needed. 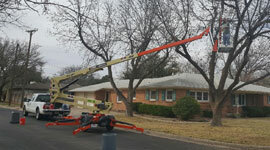 We will also continue tree trimming during these months and plant seasonal color such as caladiums, begonias, impatiens, zinnias, and potato vine in your flower beds and flower pots. 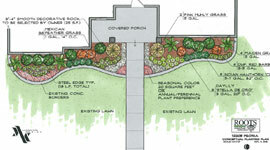 Once your yard has been prepped, we will then begin our normal maintenance pattern (edging, mowing, shrub and ornamental grass pruning, trimming ground cover, de-weed and keep grass out of flower beds).